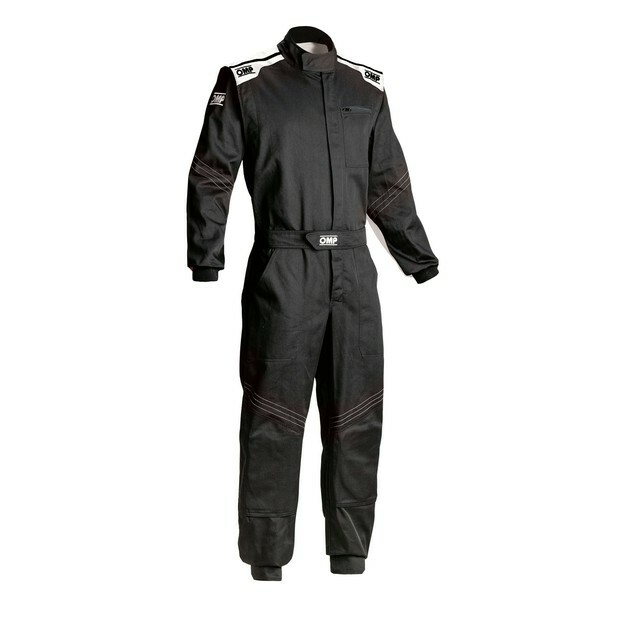 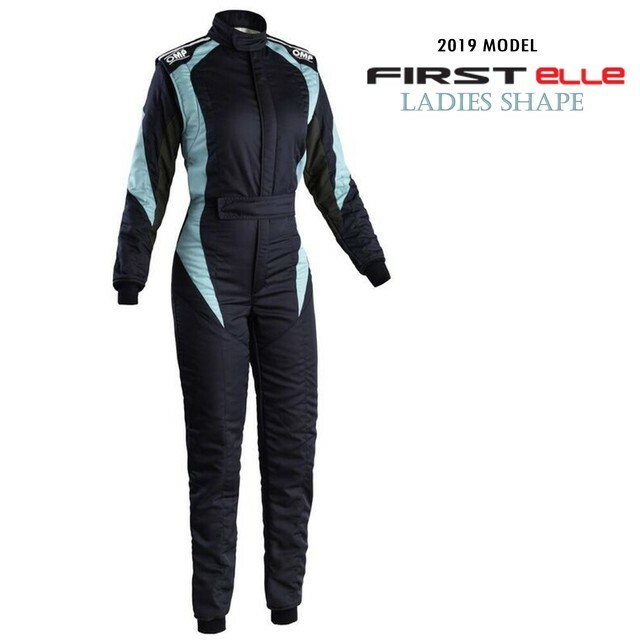 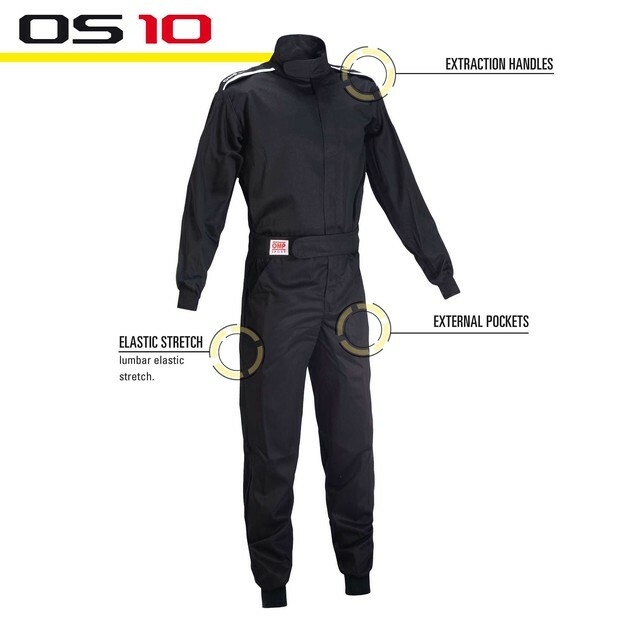 One layer OMP Sport racing suit in fire retardant cotton fabric. 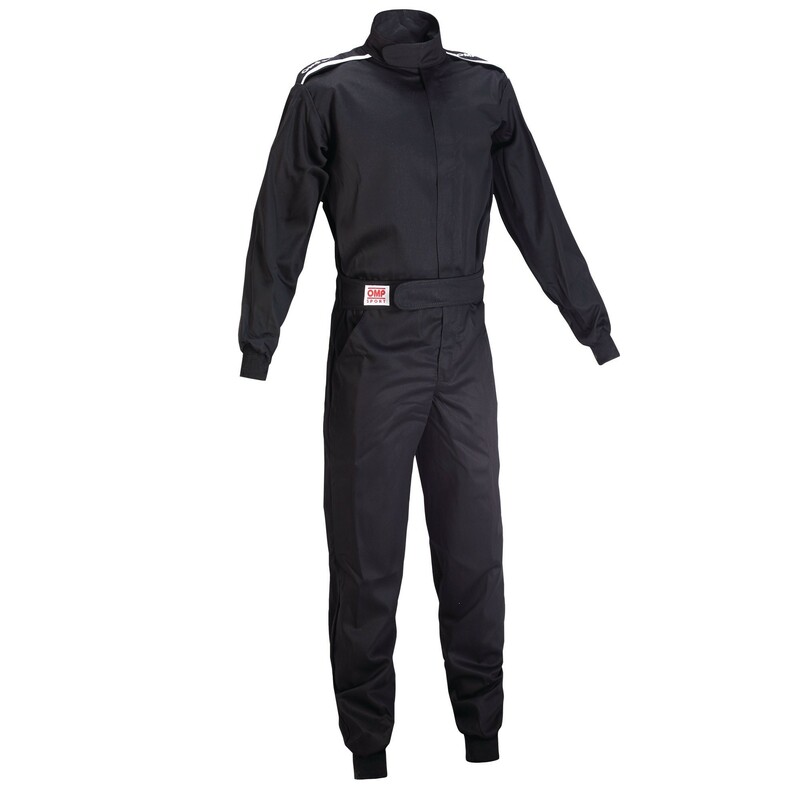 Treated woven fabric, double back pleat for additional comfort, lumbar elastic stretch, external pockets. 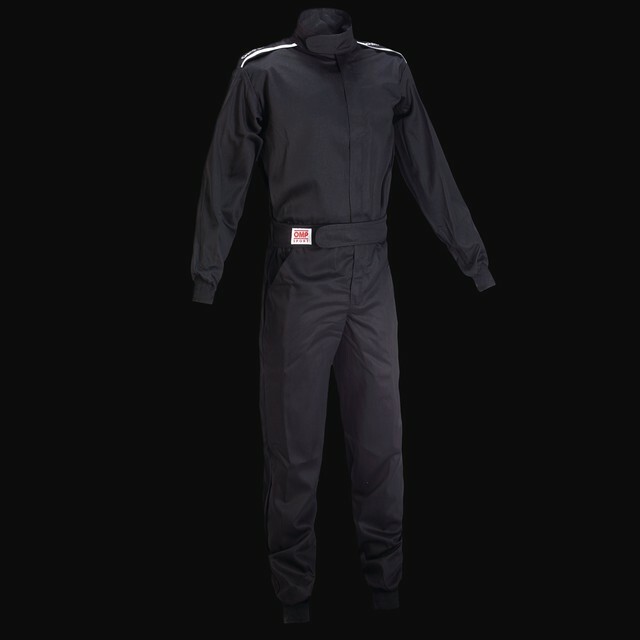 With driver extraction handles, matt finish.